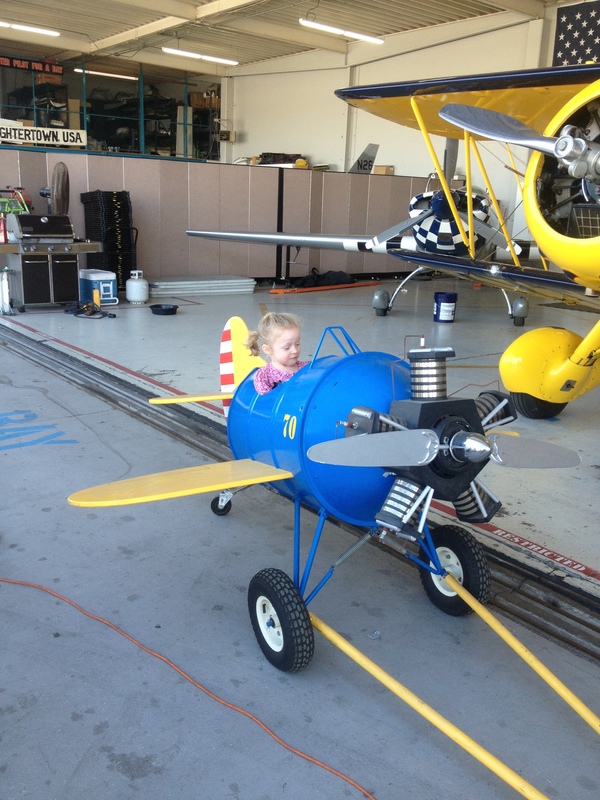 Our family has a long history of aviation pilots in our family. My grandfather owned a crop dusting business back in the day and my father is a retired commercial airline pilot. 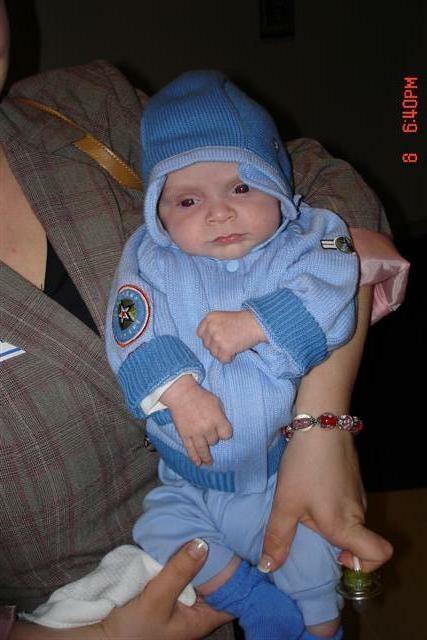 Seven year ago, when Field Trip Boy was born, he got to attend his grandfather’s retirement dinner in San Francisco. Now when anything related to aviation comes up, we are first on the scene. 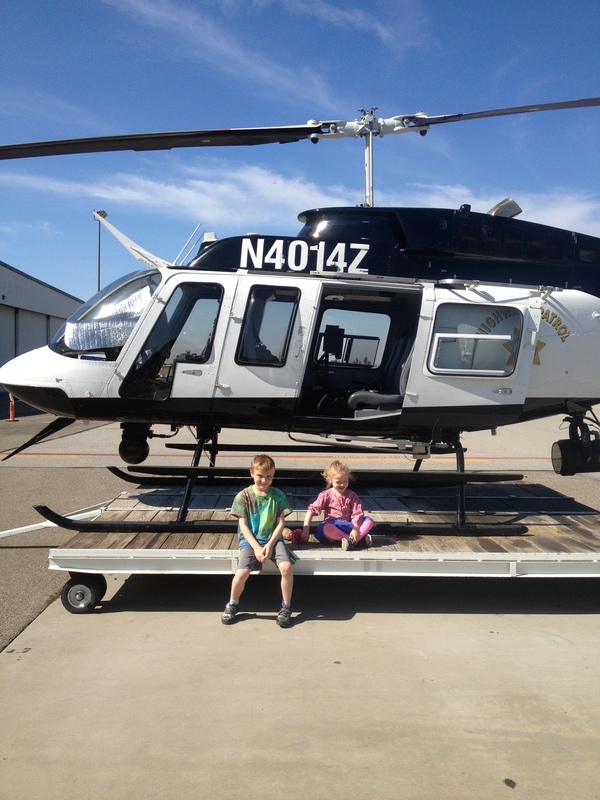 This last spring, my children and I went on a field trip with Celebration Education (a homeschool group that I plan field trips for) to the Fullerton Airport in Orange County. Several of my homeschool friends had been on this field trip before and raved about it. So I decided to set it up for our group of 50 students. 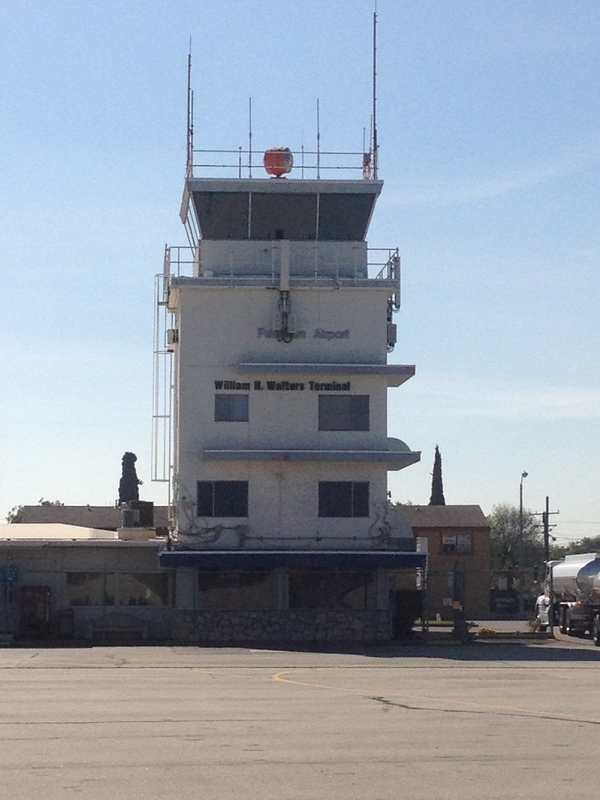 The Fullerton Airport is the only general aviation airport in Orange County. It is located three miles from Knott’s Berry Farm and six miles from Disneyland. The airport is completely self-supporting and does not receive any subsidies from the City. When we first arrived for our tour, we were greeted by two friendly volunteers, who have been leading tours of the Fullerton Airport for over 20 years. 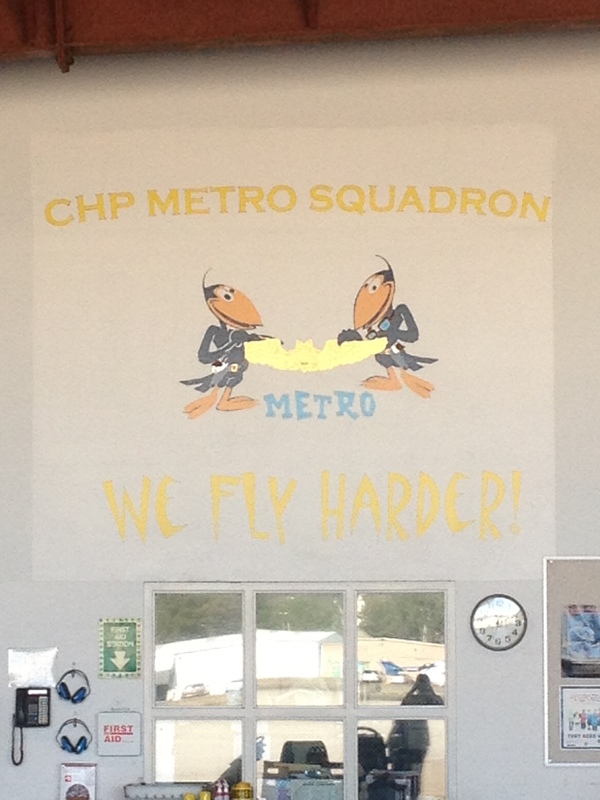 They were very knowledgeable about the history of the airport and took their jobs seriously. They divided us into two different age groups and our family went with the younger group to see the different aspects of the working airport. 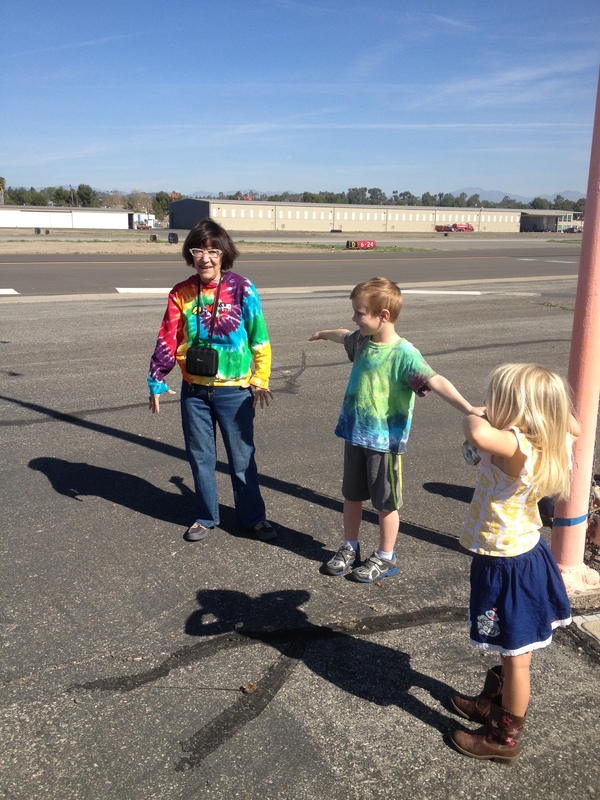 First we did some aviation games with our tour guide. She showed us the different signs, symbols and flags at the airport and explained what they represented. We also discussed the significance of direction (north, south, east and west) and got to see some airplanes take off and land. 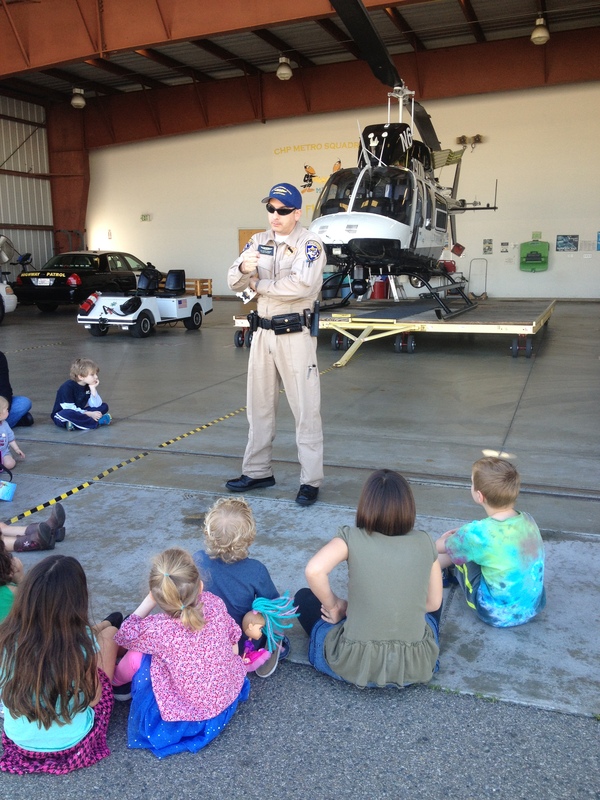 The CHP officer shared with us what they do for a living, which areas of Southern California they covered and how a helicopter might be used in an emergency situation. 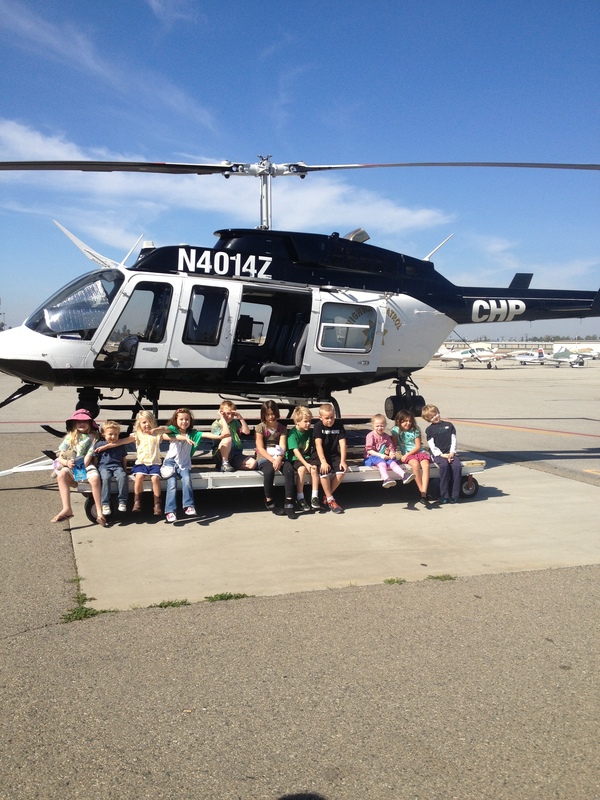 Afterwards, the CHP officer gave the students a CHP sticker and let them take pictures in front of the helicopter. Our kids were super excited about this part of the tour. 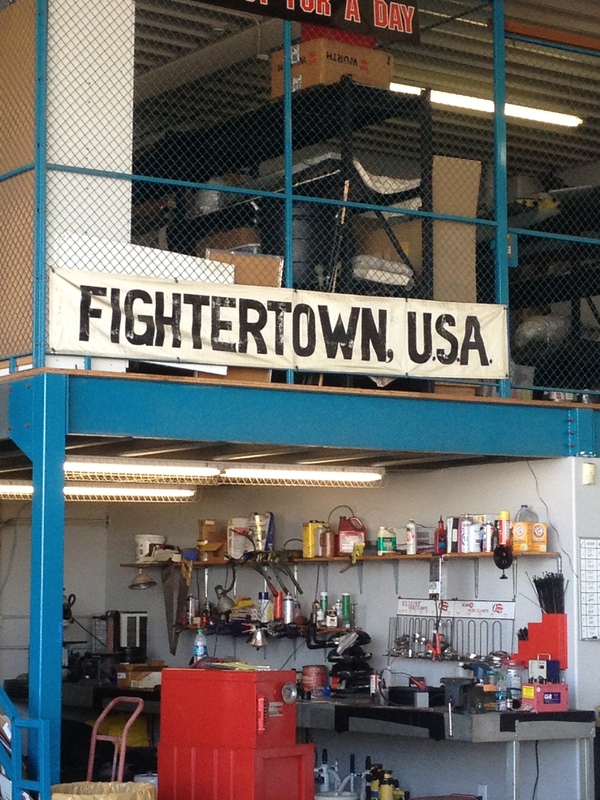 Our next stop was a visit with the friendly folks at the Air Combat USA hanger. 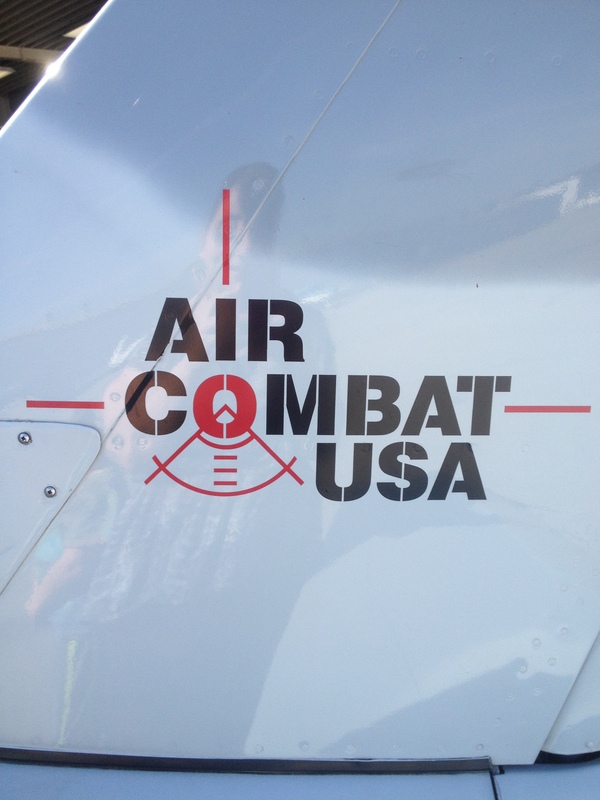 Air Combat USA provides the opportunity for an adult to be a pilot for a day in the sky, while flying in a real military aircraft in search of an enemy airplane. 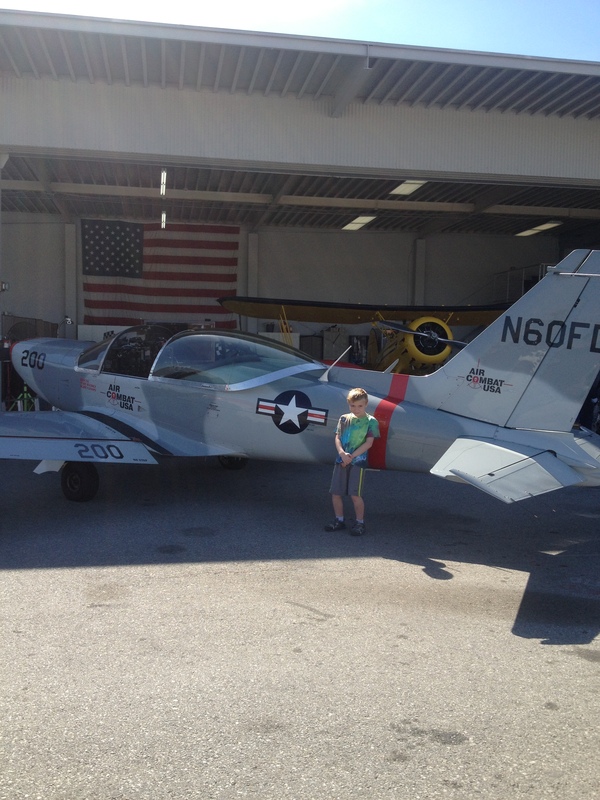 Air Combat USA’s staff invited us to explore their line of military planes and take pictures in one of their smaller play toys…I mean planes! At the end of the tour, our guide who is also a pilot herself, let the kids sit in the cockpit of her personal plane. The kids thought this was “rad” as my son described it. 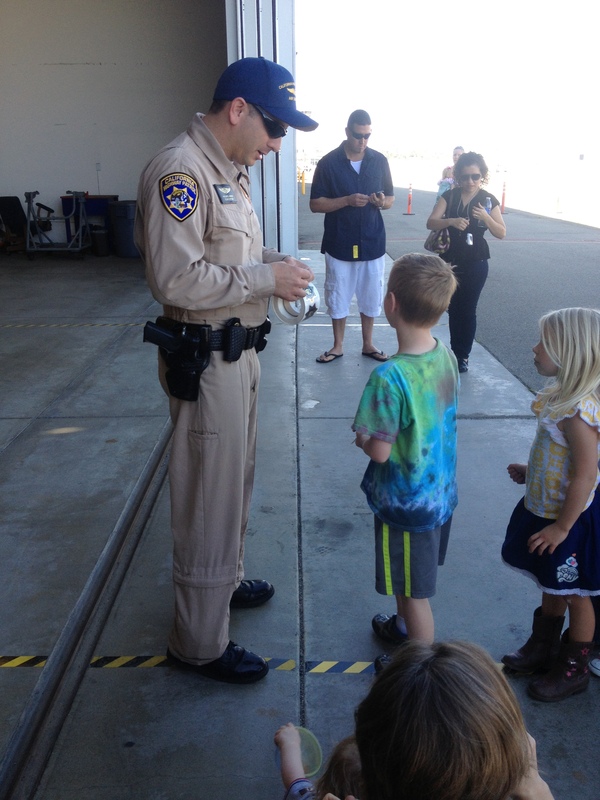 To learn more about the Fullerton Airport and how to book a tour, please visit http://www.ci.fullerton.ca.us/depts/airport/. 1. Please call (714) 738-6323 to set up your tour. Calling works best. 2. Tours are available for all ages from preschool to adults. 3. The tour lasts approximately an hour and a half. 4. The tour is FREE! 6. Safety is very important on this tour, because you are on an open air field. Disclosure: This is not a sponsored event. All views and opinions are our own. This sounds so fun!! Thanks for the tip and I’m looking forward to trying this with my little ones!